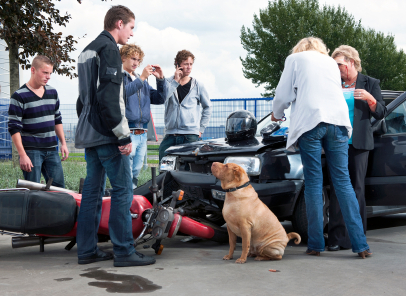 In BC over the last five years, an average of 2,200 motorcycle crashes per year result in injuries and fatalities. The majority of motorcycle accidents occur in the Lower Mainland around Vancouver and clusters of accidents happen in Kelowna and the Okanagan area. In areas where the climate is more temperate in BC there are higher incidents of crashes involving motorcycles. Motorcycle drivers and passengers are extremely vulnerable when road crashes occur, specifically when it involves another car or large vehicle. Injuries can be substantial and have life long repercussions. It is critical to obtain the best possible medical care and to have a full understanding of benefits related to your extended health care and employment insurance. The second most important issue at stake is to ensure the motorcycle accident is investigated and that an ICBC claim is submitted to ensure maximum ICBC claim compensation. The experienced and top-rated lawyers at MacLean Law can guide you down the road to recovery both medically and financially.